Forget proud traditions and cultural exports - a nation's identity is bolstered if Americans know about it. Just ask the Canadians, says Clive James. In my homeland, Australia, the question of national identity is once again in the news as the assembled brains of the entire country wonder whether the new film about Australia, called Australia, will finally establish the national identity of our neglected island in the eyes of the world. Let me start out by saying that I have always found this supposedly nagging question of Australia's national identity to be a mare's nest. Everyone in the world knows that Nicole Kidman, the leading lady of the film Australia, comes from Australia, so how much more national identity does one nation need? But I'll get to that later because I want to start out with another question: the national identity of Lapland. 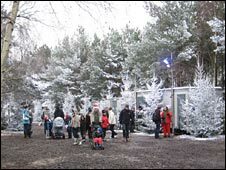 Lapland's national identity in the eyes of the world has taken a hammering when a Lapland theme park in the New Forest closed down in response to universal lack of enthusiasm. Ticket buyers were promised snow, cabins, elves and appropriate animals. The snow was sparse, the cabins closely resembled the kind of bolt-together huts you get on a building site, some of the elves behaved in a non-elf-like manner, and at least one of the appropriate animals was made of plastic. I won't go into further detail because the newspapers were full of it, but let's just say that, except from people who had been optimistic enough to actually buy tickets, a great laugh went up. The great laugh told you two things. The first thing is that the British enjoy a bungle. They have come to see a bungle as part of their national identity: a tilting train that tilts too much or doesn't tilt at all, a Millennium Dome with not much in it, a Heathrow terminal that separates passengers from their luggage on a long-term basis, a Lapland theme park with snow-deficiency syndrome. How very British. One might even say that the nicest aspect of the British national identity is that the British can laugh at themselves. But the other thing that the great laugh told you was that Lapland really does have an identity problem, because apart from its status as the official domicile of Santa Claus, it would have had very few things notably Laplandish to offer for a 30 quid ticket even if the theme park had been a big budget number. Cabins and reindeer, is that it? The expectations of Lapp culture are low. 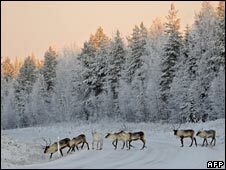 Not even a British stand-up comedian would expect to get away with the suggestion that Lapland is where the Lapp dancers come from, because everyone knows that almost nothing comes from Lapland. On the international scale of celebrity, Lapland scores low unless you are deeply interested in hearing the one and only real Santa perform in a Lapp accent, hoeh hoeh hoeh. And very few Americans even know where Lapland is. Right there we get to the heart of this supposedly vital question about national identity. Small countries want the United States to have heard of them. Britain counts as a big small country because it has a lot of people in it, but even the British are apt to waste time caring about whether the Americans have heard of them. Not all their time, however, for which I bless their sanity. For smaller small countries - and I mean smaller by population - it can be a continuing obsession. The clearest case is Canada, which is large in area even by comparison with the US but is short of people. Crucially, Canada is right next to the US, and speaks the same language. Everyone knows that Mexicans are Mexicans but few of us can tell a Canadian from an American unless the Canadian is speaking French. The Canadians are forever bothered by a sense of being dominated by their famous neighbour to the south. The Canadians try to laugh, however. There was a Canadian best-selling book recently called Coping with Back Pain. It did so well that the Americans printed their own edition. But the Americans called it Conquering Back Pain because the US is a can-do nation that conquers, it doesn't cope. A friend of mine who told me about this had already worked out her own jokes, which I gladly borrow. The Canadian version of Julius Caesar's memoirs? I came, I saw, I coped. Get ready for She Stoops to Cope and Hail the Coping Hero Comes. But the nice thing about the Canadians is that they can come up with jokes like that at the drop of a Mountie's hat. They know they're stuck and they've learned to enjoy it. 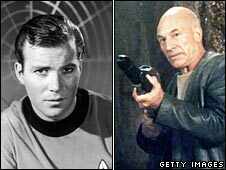 Long-time commander of the Starship Enterprise, the Canadian-born William Shatner, one of the funniest men I ever met, is full of jokes about Canadian star-fleet admirals. Canada has been supplying stars to Hollywood for a century but everyone thinks they're American. The best the Canadians can do is laugh about it and they always have. Finally the national sense of humour is a vital factor. National identity and a sense of humour: there are two themes trying to get together here. I should say at this point that for all I know the Lapps are as funny as a circus on the subject of their minimal international standing. Perhaps they are even now rolling around in the snow, yelling with laughter at the reports of how the lavishly appointed Lapland New Forest theme park project went belly-up. But we don't know, because we never hear from them on the subject. This seems to me a wise attitude, for reasons I will discuss. But not, alas, until I have discussed the national identity of Australia. It's a duty that there's no getting out of. As an Australian who lives in Britain, I spend a lot of time fielding calls from the media in my homeland wanting to know what Britain is thinking. These calls have been coming in every few hours in recent weeks, because the film Australia will soon open here and perhaps I might have seen it at a press screening. As it happens, I have seen it at a press screening, so I'm in a position to say that although I have no idea what the British will think when it goes on general release, I have an exact idea of what I think. About the film's merits I prefer to be silent at this stage, except to say that it seemed quite long, in the same sense that the Thirty Years War probably seemed quite long to anyone who had been expecting it to be over sooner. But I have a definite opinion about what the film Australia will do for Australia's national identity. It will do nothing, because nothing needs to be done. Unlike Lapland, Australia is world famous. Australian actors and film-makers and writers and arts people have been colonising the planet for years and all the jokes about Australia's deficiency of culture are old hat, like all the jokes about Australians knowing nothing about wine. Australia killed the wine jokes by producing super-tankers full of wine that the whole world wanted to drink, and it killed the culture jokes by flooding the world with an outburst of quality remarkable for a country that looks big on the map but has fewer people in it than Mexico City. Most important, Australia has even more great stuff at home than it sends abroad. Unfortunately it also has a whole army of commentators who are permanently anxious that the world hasn't heard of them. Well, there's a reason for that. It's because they are talking nonsense. There is no Australian national identity crisis and never has been. Indeed Australia after World War II was a desirable destination for people from countries that really did have an identity crisis. Poland, for example. When Nazi Germany and the Soviet Union have ruined your country from two different directions, that's an identity crisis. Australia's only problem was that it felt itself to be a bit of a backwater, and that is obviously no longer true. But it isn't obvious to the people who draw a salary for saying Australia must do something to put itself on the map of the world. Just such anxious minds are behind the notion that the film Australia will make all the world's tourists aware of Australia. They hope the film will work like the Paul Hogan commercial in which he threw another shrimp on the barbie. They think an epic film like Australia can act like an advertisement. If these tireless promoters think that people will come to visit Australia after they have seen the film Australia, I can only say that those people will be very old when they arrive. 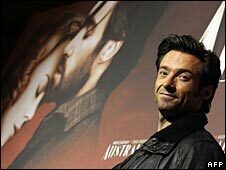 But I also have to say, with reluctance, that the movie has plainly also been made in order to impress the Yanks. Australia, says the film Australia, is even bigger than Texas. Any Americans who make the trans-Pacific trip on the strength of this movie are going to be disappointed not to find Hugh Jackman, who plays the drover, droving a herd of cattle down one of the main streets of Sydney. They stand a better chance of bumping into Nicole Kidman, who is now once again living in her home town, and probably for two main reasons. One reason could be that she finds the relative obscurity a nice change after all the Hollywood hoo-hah: rarely, in Sydney, is she trailed by more than two car-loads of paparazzi at once. Another reason could be that Australia has got its own sense of humour, which not even the Americans can take away, re-package, and sell back. Finally, it doesn't have to care about national identity. All that a nation needs is national pride, and it only needs that if it's a nation. At which point it might be time to reveal that there is no such nation as Lapland. It's just an area, some of which is in Finland. But judging from the advertisements it puts on the web, Lapland is probably the best place to meet Santa in his grotto, with proper elves. Better, anyway, than in the New Forest, where the remains of the Lapland theme park are even now being loaded on to a skip. Hoeh hoeh hoeh. As an Armenian, I completely identify with this article, in that we are a small nation, but quite widespread, but nobody has ever really "heard of us", and by "nobody", I do indeed mean "mainstream American culture". What complicates the matter is that it is rare to meet an Armenian himself who does not have an identity crisis, who hasn't some connection or other with at least two or three countries, and who doesn't speak a few languages. The writer of this article does know that Lapland is not a country, but a region in the north of Scandinavia, divided between Finland, Sweden and Norway? It would be thus demanding for the Lapps to have a true "national identity". I doubt the Sami people felt their culture or identity compromised by a small and miserly try at creating a Santa land as they don't associate themselves with Santa's elves. Sweden, despite usually considered a smaller country, doesn't have any problems with national identity having a culture, language and history that goes back much further than just a mere 300 years. Please don't project your identity crises on us other innocent bystanders. As Clive probably knows, here in his neighbouring New Zealand, the phrase "World famous in New Zealand" has entered the vernacular to refer to things which would be world famous if they had originated in the US or UK, while simultaneously poking a little bit of fun at ourselves for being such a small country. I disagree about what you wrote about the identity crisis in Poland after WWII, both as a sociologist and a Pole. Right after the war the national identity was in fact rather strong. After WWI when Poland was restored as a sovereign country and was regaining its strength (in vain obviously). During WWII we fought together and had some uniquely Polish experiences which added to the common identity. Only later during the socialist government times I would dare to speak about the national identity crisis. The reasons for the exodus were political (fear of persecution - this is how we lost a certain number of the intelligencia and aristocracy) and economical (chasing after the bread we call it, people who wanted something better of their lives), not the identity crisis. 1) an amusing little article. 2) I wonder if there is an actual survey that could pick up on whether or not citizens of some country care if an American knows of their country. 3) I remember reading somewhere that some double digit percentage of Americans can't find the United States on a map. Asking those same Americans to find your country is therefore likely to be problematic. Two Canadians out of three are not of the Anglo-Saxon culture portrayed in your article. In fact outside of the Anglo-Saxon world, Canada is known as the place that offers good quality of life for everybody. Ask anyone in Latin America, Africa or Asia. That's the difference between conquering, a typical Anglo-Saxon concept where there are winners and losers, and what you call coping, otherwise known as a communistic approach to success based on a win-win situation for all. And it works! Canada has topped the UN's Development Index 10 times in the last 20 years. Everybody wins in Canada. As a Canadian living in England I find it quite amusing how everyone hears my accent and assumes I am from the States. I often get asked what part of America I'm from, to which I respond "the Canadian part". It is remarkable what people think about themselves. It would never occur to me that Australia lacks its own identity. In fact, it is one of the places that all Americans know about, limited though our geographical horizons may be. But I disagree about Lapland. Santa comes from the North Pole. A very accurate concept - film/media can dramatically impact how a country is viewed (and if it is) on the world stage, especially Hollywood. That being said, I'm not sure how accurate it is that the average Canadian worries that much about it. At least not out west where I am. We chuckle at our neighbours to the south who seem to be so dramatic and serious sometimes. I've very proud and happy with my country, and can't imagine wanting to live anywhere else. I have a great life and feel lucky to live in what I consider the greatest country in the world. I'm sure many people in many countries would echo that exact sentiment though. "National identity" is simply another form of groupism - we/us vs them. All those who happen to or have chosen to live within the borders of a particular country are individuals, each with a unique identity. Nations/countries do not have "identities" - only individuals. To deny this fact of reality is to attempt to distort reality for oneself and to perpetrate the distortion onto others. As an American, I don't think that people assume Canadian actors are American per se. 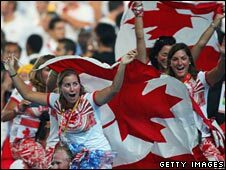 It's more that Americans make little if any distinction between themselves and English Canadians. To me, Canada is the French-speaking country to the north. So long as the stop signs don't say "Arrete" I'm still in the US. As a Canadian living in Australia, I have to say I think you nailed the part of the story on your homeland. This absurd idea of a national identity crisis in Australia, is, well, absurd. I find Australians more confident of their place in the world and their national identity than any other country I've been to. It is something drummed up by primarily those in the arts who are in fact uncertain of where they stand and perhaps seek to deflect this onto the country instead of themselves. However, as a Canadian I feel you missed out on what makes Canadians proud. While most Canadians will let you know when something is from the great white north as opposed to the US, that in itself isn't where we derive our pride from. Canadians are more proud to simply have it out there and have done it. Americans tend to seek out the spotlight and make sure it shines on their achievements. Canadians are content to have their humble pie and eat it too. We don't really care where you think our work comes from, as long as it's liked and appreciated. The reason Australians have a problem with their identity is that it is such a young country, and has neither the rootedness nor collective historical memory of older nations. This is why relatively obscure events such as the WWI battle at Gallipoli and Ned Kelly's adventures are so important. That said, I think Aussies are developing a much more open and less traumatised national identity than most other countries, and are a whole lot better than older ethnic nation states at integrating immigrants. This touches on a very interesting question that I am never allowed to forget. Who am I, and why is it that people do not know me? I live in Helsinki, Finland. My wife of almost 30 years is Finnish. Finns are very conscious of what they look like. They have very strict criteria, and my wife fulfils all the criteria, and she is undisputedly a Finn. Above all, she is white, and she speaks Finnish without a foreign accent. But I do not look like a Finn, and I do not speak Finnish. People are constantly running after me and telling me who I am. They are actually doing something very rude, although they do not intend to be. I was born in a small island-nation with a long history, a unique language of its own, with an alphabet of its own too. It also has clearly defined sea-borders which demarcate it, as a nation, from neighbouring countries. It has been independent virtually throughout its history, and is reputed to have had diplomatic relations with Emperor Claudius of Rome. The population of the country is homogenous, and it has a 100% following of one sect of one world religion. It has been a UN member since 1965. And yet, nobody seems to have heard of it, and if they happen to have heard of it, they identify it with a set of luxury tourist resorts that it advertises abroad. As for me, I have no identity crisis, and no lack of national pride. I belong to many countries, and have many identities, each identity being of a different kind. I am Finnish too, but have not claimed Finnish citizenship. It is assumed, in Finland, that I am neither Finnish nor British, although I am both. I am supposed to be something else, although that something is not understood either. Too much emphasis is put on the skin colour, and very old-fashioned ideas about where people who look like me should be living. When I meet a new person, I do not even ask where he or she comes from. I also do not define them without their permission. Moreover, I do not feel that they lack either national pride or identity.